Have you ever wanted to have your own piece of Ireland? Now you can! This unique Irish gift is perfect for someone who has always wanted to have a "bit of the old sod". We are offering your very own corner of the Emerald Isle. 1-foot square plots of land for sale. Numbered Certificate, suitable for framing. Map showing location of plot. This would make a perfect present for Christmas, weddings, anniversaries, and birthdays. It also makes the perfect promotional or business thank you gift. 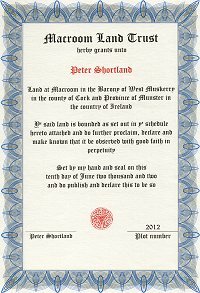 We can personalize the heading on the certificate to meet your requirements. Click on the Certificate to see the styles available. First documented reference to Macroom reaches back to about 550 ad. When it was known as Achad Dorbchon and existed within the Kingdom of Muscraighe (Muskerry). religious centre where the area represented a centre for the Druids of Munster, an ancient burial grounds and also served as the seat of the Bishop of Cork. The earliest references to settlement at Macroom are in the form of archaeological ruins, some of which are still visible today. These include ring forts, stone forts, fulacht fiadhs (cooking pits) and souterrains (underground passageways). Standing stones are noticeable in the district. They dot the landscape with great regularity. Some of these mark prehistoric burial sites. Some of the stones are as high as 15 feet with some of the stones bearing Ogham inscriptions. The area represents the home place of St. Finbarr, founder of Cork City, and the site of his first church near Macloneigh. 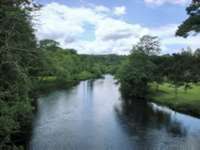 A battle at Bealach Leachta (Bealick) at the confluence of the Sullane and the Laney rivers took place in 978 between Brian Boru and Miles MacBrain, chief of the O'Mahoneys and King of Carbery. The purpose of the battle was for Brian Boru to avenge the death of his brother Mahon who had been killed by MacBrian. Following the slaying of MacBrian by Brian's son, Murrogh, Brian became King of Munster. influential families of the Muskery region. 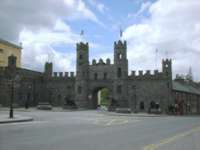 They had their headquarters at Macroom and established the first village site. 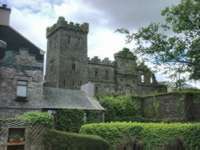 The castle was the focal point for all subsequent development at Macroom.